Why do we ship with DB Schenker? Orders get where they need to go, undamaged and on schedule. The planning begins early. The lead-time is variable, but let’s say 5 weeks. Every job has it’s own custom strategy. After the plan is in place, one of the three DB Schenker teams of specially trained and certified personnel is flown to the site of departure, overseeing every mile of the transport. We can leverage our established relationships with global carriers and key service providers such as Cargolux or Maersk, to meet the most demanding supply chain requirements. 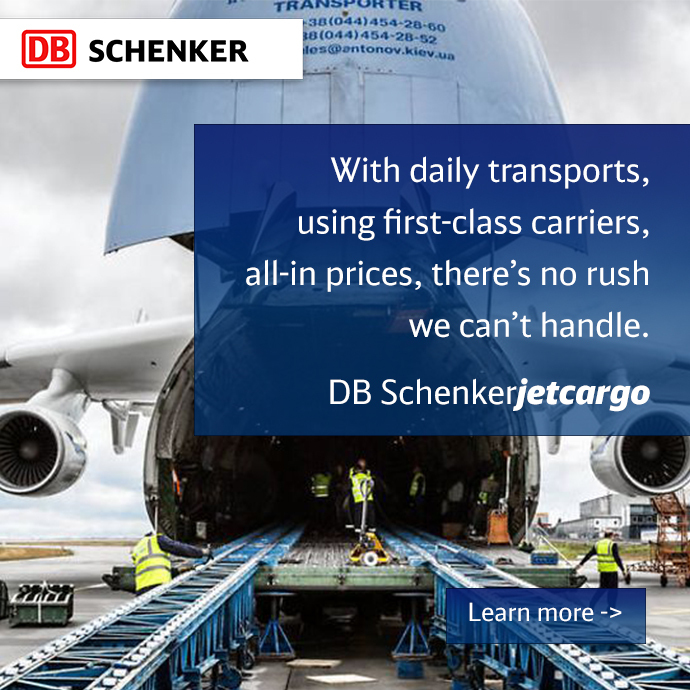 DB Schenker understands the language and sensibilities of our industry. Our industry-specific global support teams understand the language and unique challenges of the electronic industry. We’re trained and certified in protocols including contamination, safety, ergonomics, tool/materials cleanliness and hazards and emergency procedures. DB Schenker has an integrated suite of services that bridges the gap between production and final delivery. As a supply chain specialist, they don’t simply move goods. Instead, we use a broad spectrum of value-added services seamlessly integrated into even the most complex business models. This approach includes everything from inbound and manufacturing supply management, to distribution of finished goods, and the support of aftermarket activities. The supply chain becomes a value chain, optimizing your business and leveraging a whole range of cost saving opportunities. The entire process from start to end has one point of contact. Trust. Trust backed by strategic planning and expertise. Here’s an example. We were contacted by a major stepper manufacturer; offices located in Amsterdam. A stepper is a huge, yet sensitive machine weighing somewhere between 40 and 60 tons. The destination was a major semiconductor manufacturer on the Pacific Coast of the United States. Our certified team flew to the Netherlands and began the intricate plan that was laid out to move 60 tons to the United States. Airports that can accommodate that weight have to be considered, as do roads and possible hazards. The truck that will haul the stepper will be creeping 15 mph up the coast. The logistics of that needs to be considered. Contamination is an issue as the stepper is unpacked with the most intense white-glove service protocols one can imagine. The leader of our team – John Tibshirany, Vice President Global Sales, USA.